After a long time yesterday when I was signed into my Twitter account I found a new feature on it that will help us to connect and post tweets directly into Facebook wall.For the past one month I was not much active in the Internet ,since I was concentrating on my education.I got placed in the HCL Technologies to the post of Software Engineer.I would like to thank you all for your support that lead me to reach on this post. If you are a addict to Internet and the social networks ,most probably you should hold both the Facebook and Twitter networks.You may updating in your Facebook wall and in twitter by manually or by the help of any third party applications.But this new feature from the Twitter will allow you to post your tweets directly into your Facebook wall without use of any third party application.This facility will help you to send all your Twitter tweets directly into Facebook wall. 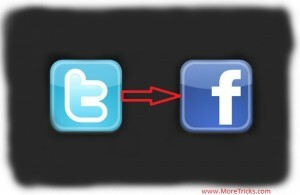 How to Post Twitter Tweets to Facebook ? Well ,If you are using any third party tools to post tweets to Facebook its the time to comeback to twitter interface.Twitter added this feature to the profile settings.Here is the whole procedure on how to post your tweets directly to your Facebook wall without use of any third party application. Scroll down to the window and at the end of the window you can see a facebook button to connect. Done! 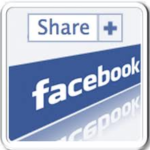 .Now when you post tweets on the twitter it will automatically forward into your facebook wall. 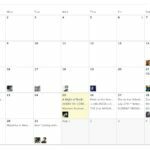 Note that this feature will only post your original updates and will not post any retweets or mentions.All your twitter tweets will be published in the Facebook wall with a link back to your twitter profile. fantastic info.thanks for this useful information. Hi ! This info is great ! Can i set it up for my iphone4 as well. When i want to tweet will it give me an option “link to facebook” ?